It’s becoming much easier for cyber criminals to launch zero-day exploits, indicating that these types of attacks will increase quite a bit. Zero-day threats tend to evade traditional security controls, which is why sandboxing is a key component of network security. 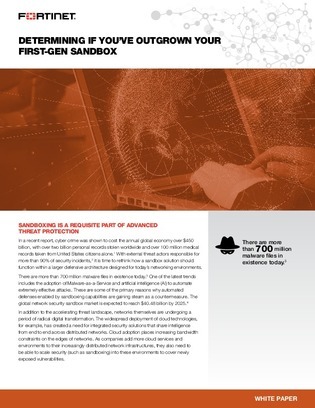 With external threat actors responsible for more than 90% of security incidents, according to Hiscox Insurance Company, it’s going to become even more critical to ensure your sandbox can keep up with the increased volume and sophistication of new threats. Read this whitepaper to learn the differences in sandbox technology and how to choose an effective and efficient sandbox solution.